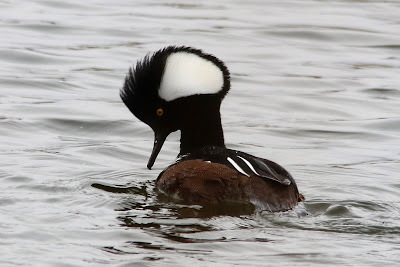 Another quiet morning with just a few Brent Geese moving east and the two Iceland Gulls still feeding at the Patch. Very few migrants on the land but they did include three Fieldfares and four Siskins. 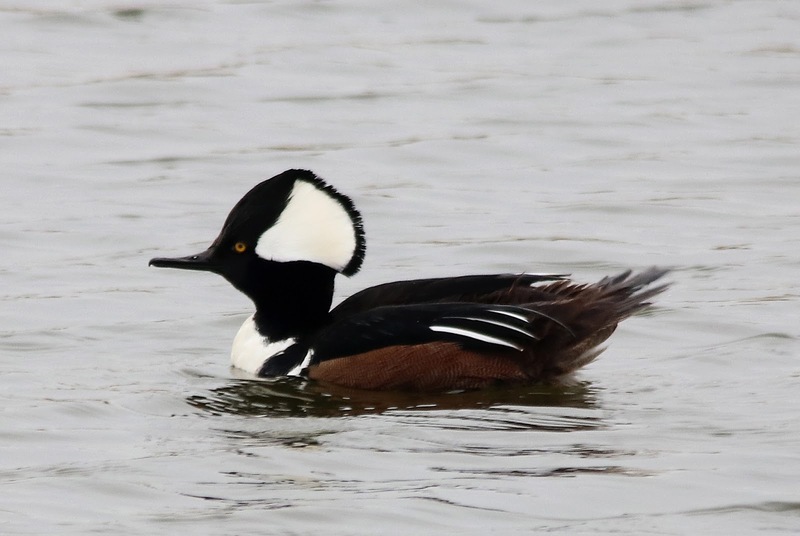 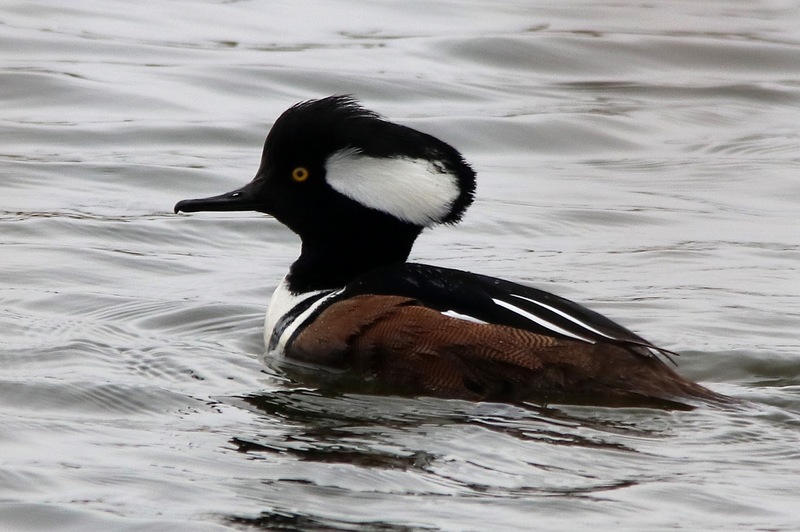 On the RSPB Reserve a superb-looking drake Hooded Merganser was found at Hookers and caused some excitement until close views revealed that it had a green ring on its right leg and severely reduced its credentials as a genuine wild bird. 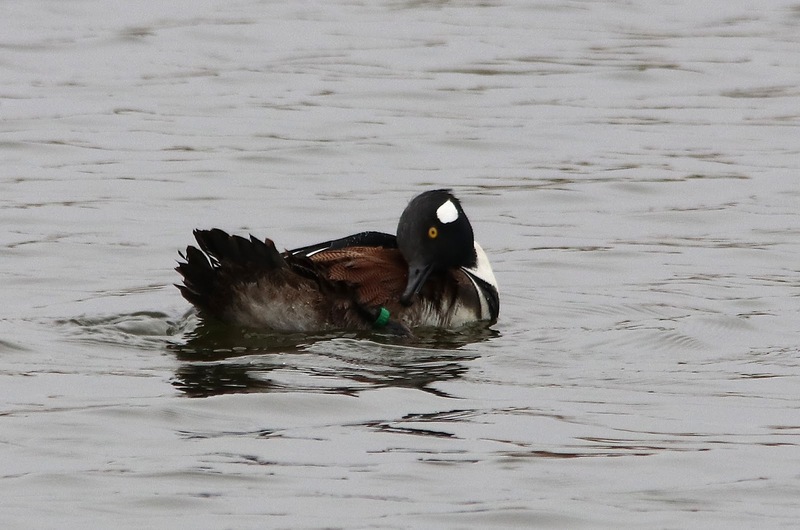 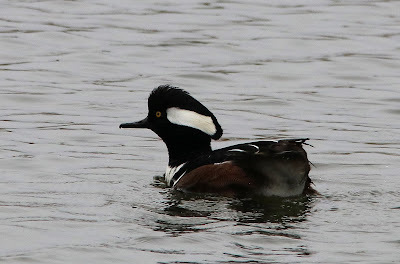 Also on the Reserve, the Ring-necked Duck continues to be seen although now on Tanner's Lake, the two Long-eared Owls are still giving great views behind the Dipping Pond and the two Slavonian Grebes and a Black-necked Grebe remain on New Diggings. Up to five Great White Egrets are still lingering in the general area.